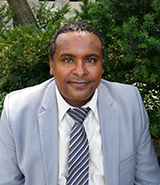 Solomon Fikre Lemma, PAS visiting scholar, has served as Dean of the College of Law and Governance Studies and Secretary of the Senate of Addis Ababa University, as well as an assistant professor at the Schools of Law of Addis Ababa and Hawassa Universities. He received his PhD, LL.M., and LL.B. degrees from the Schools of Law of the University of Warwick, Erasmus University, and Addis Ababa University, respectively. Lemma's research interests include law and development, particularly the role and potential of land, business, and property laws in tackling poverty and fostering economic development in developing countries. He has served as a UNHCR volunteer at Bonga and Fugnido Camps for Sudanese refugees in western Ethiopia, contributing to his research interest in the protection and treatment accorded to vulnerable groups such as women, children, and refugees under international and Ethiopian laws. 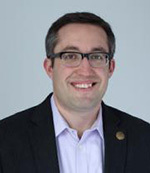 Matthew Francis Rarey is Assistant Professor of Art History at Oberlin College. A scholar and theorist of black Atlantic visual culture, his interests include assemblage and ephemeral aesthetics, conceptions of enslavement and its visual representation, and the development of Afro-Atlantic religious arts. His current book project - supported by a 2018-2019 National Endowment for the Humanities Fellowship - investigates the accumulative history small protective pouches with transcultural origins in West Africa that took on new forms and contested interpretations as they spread across the black Atlantic world between 1660 and 1835. A practicing curator, Rarey also coordinated the installations of the Arts of Africa at the Chazen Museum of Art at the University of Wisconsin-Madison and the Allen Memorial Art Museum at Oberlin College. Rarey earned his B.A. from the University of Illinois and his M.A. and Ph.D. from the University of Wisconsin. 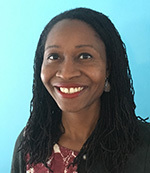 Naaborko Sackeyfio-Lenoch is Associate Professor of African History at Dartmouth College. Her research focuses on 20th century Ghanaian and West African history. She is author of The Politics of Chieftaincy: Authority and Property in Colonial Ghana: 1920-1950. Her articles have appeared in several journals including the International Journal of African History Studies, History in Africa, International Review of Social History and Journal of West African History. Sackeyfio-Lenoch is the recipient of an ACLS Frederick Burkhart Residential Fellowship for the 2018-2019 year. She will be in residence at the Program in African Studies to work on her current book about the history of Ghana’s internationalism, and the role the country played in the global and cultural politics of the independence and Cold-War era. Names of faculty members at Northwestern with whom you are interested in interacting. Sources of funding. Please note that the Program of African Studies does not provide funding for your visit.